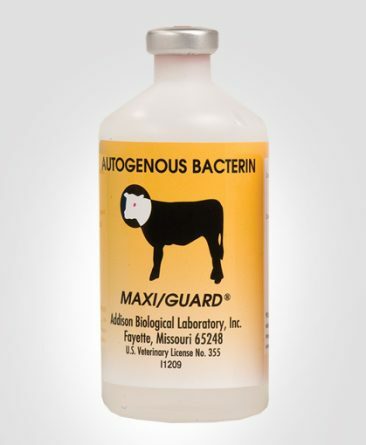 The Addison Autogenous Bacterin Program uses the disease-causing bacteria isolated from your herd to develop a vaccine specifically for your herd. Addison Biological Laboratory, Inc. prides itself on making the entire autogenous process as quick and easy as possible. 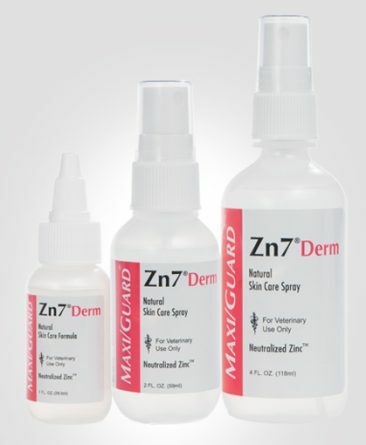 We take a team approach with the producer and the veterinarian (as required by the USDA) to create the best quality product in a short period of time. For personalized service from start to finish, please call 800-331-2530 or email info@addisonlabs.com. The diagnostic plan is a scientific preventive health program using a team approach, including you, the producer, your veterinarian, and a laboratory. A licensed attending veterinarian is required to be involved in any diagnostic and autogenous work with Addison Biological Laboratory. An Addison Biological Laboratory technician consults with your veterinarian to help identify and diagnose specific herd health problems. Diagnostic processing takes 5-8 working days and results go to the veterinarian on the case; please contact your veterinarian for results. For more information on our diagnostic services, click here. The veterinarian collects tissues and/or body fluids from the herd and sends or delivers the samples to a diagnostic laboratory. 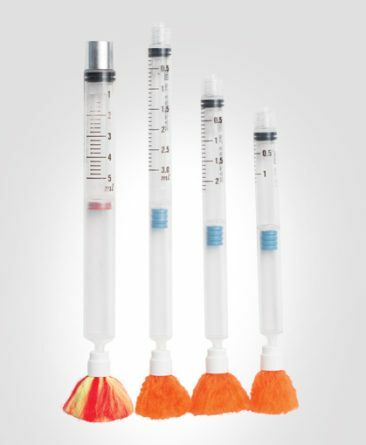 Addison Biological Laboratory can provide shipping containers and recommendations to assure that the best samples for the most accurate diagnoses are obtained. Addison Biological Laboratory provides fast, expert diagnostic services but we also encourage the use of your local diagnostic laboratories, if more convenient. 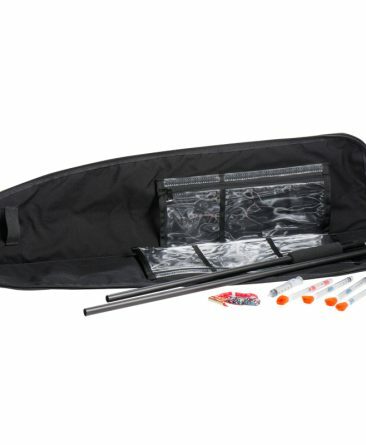 The diagnostician isolates and identifies the disease-causing organisms in the tissues and/or body fluids. 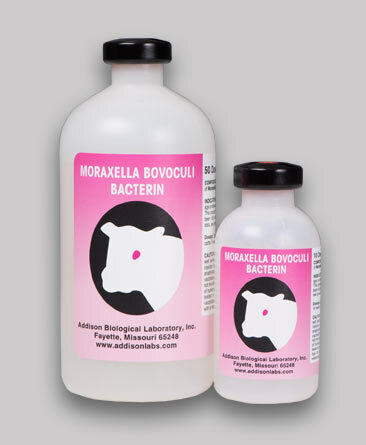 Addison Biological Laboratory uses select pathogenic micro-organisms isolated from the animals to produce herd-specific bacterins that meet or exceed U.S.D.A. standards for purity and safety. 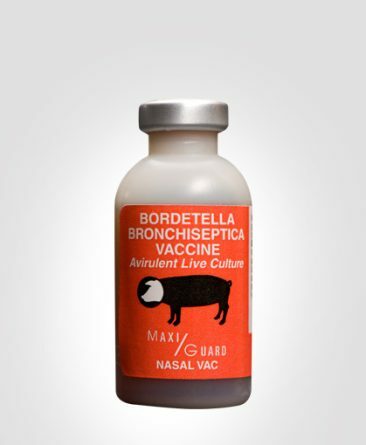 Once we have isolates and an order from the veterinarian, production and delivery require approximately 14 days. A fast response is important but we don’t compromise quality for speed. 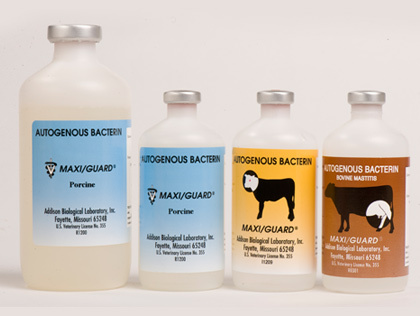 The herd-specific bacterins can be prepared from more than one antigen or bacteria providing they are isolated from the herd. Such multivalent bacterins provide substantial labor savings by decreasing the number of injections the animals receive. You have the satisfaction of knowing that the herd-specific vaccinations aid in the prevention of bacterial diseases that afflict your herd. As herd conditions change, the health program must also adapt and change. Our service does not stop with the first delivery of bacterins. Addison Biological Laboratory provides continuing, personalized customer service and, together with the veterinarian, helps ensure the continuing success of the herd-specific health program. Addison autogenous bacterins often reduce the need for costly antibiotic treatments. Herds are in a constantly changing environment that includes mutating micro-organisms. Your autogenous bacterins can be modified to meet these challenges. Addison autogenous bacterins are always competitive in price and often reduce overall health costs. To speak with a trained technician about our autogenous bacterin program, please call 800-331-2530. 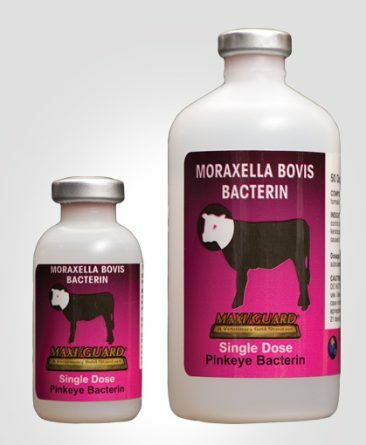 For the latest information available regarding bovine pinkeye problems caused by M. Bovoculi and how to solve them, please click here.